A wide range of products, is a great thing. A friendly and accesible telephone service is wonderful. This is expensive of course! For creators, not for consumers. We believe that a technician does not need advice on our products. We know that the range of products and usage is so broad, that we cannot provide professional application advice, even if we wanted to. Do you want to pay for that? 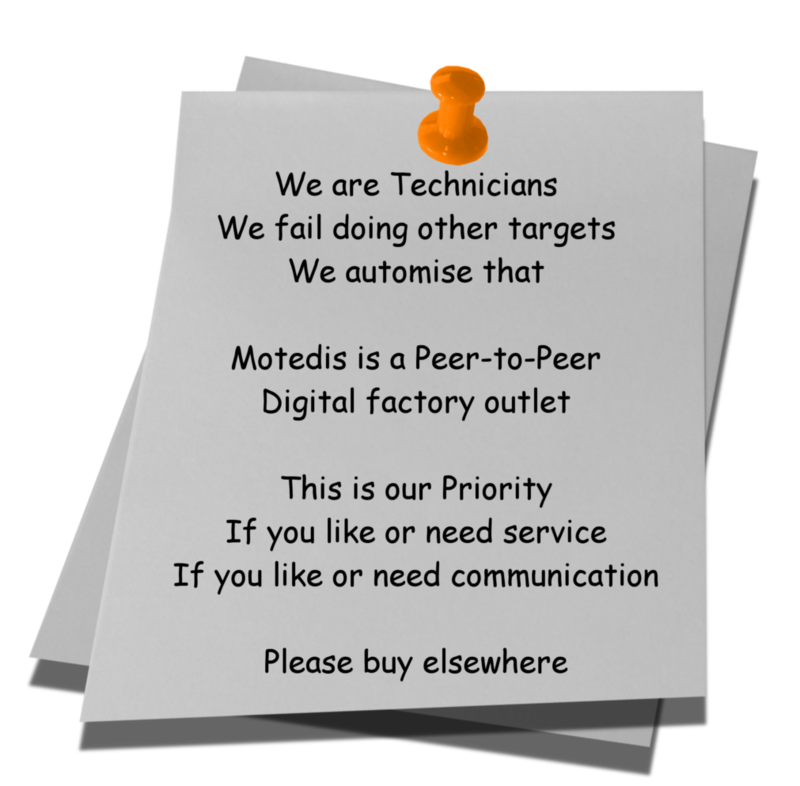 We are a digital factory outlet for technicians. We leave out some functions. We do not make less of them ... We do not make them at all. -Produce small orders at the same relative cost as large ones. 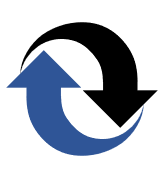 -Full automation of customer interfaces. Then there is no reason to sell small quantities per unit more expensive than large ones. Then any technician using our system, buys at the same unit price as a customer at 10,000 € per order. That is our contribution to the "Maker / Do it yourself" movement. That makes our prices possible. A real "Digital Factory Outlet" for everyone. "Trying to create less waste." We feel free to refuse non-automatable communication. We feel free to combine small orders to big packages by adding to delivery time. We feel free to limit our product range. We know that communication with us is kind of strange. But we will get 100 jobs of €100 done of similar cost as one job of €10,000. In parallel, we fight to get 100 small packages done and send with minimum extra cost relative to a large shipment. And then we build a platform for application support at no extra charge for "half" technicians and take care of colleagues outside the EU also.